Marriage Retreats are The Best Way to Fix a Marriage So That You Don’t Have to WAIT MONTHS to Change Your Situation For the Better. Our Intensive Weekend Marriage Retreat Using Imago Couples Therapy has a 90% Success Rate in Creating More Conscious and Connected Marriages. If you’ve landed on this page, you know that you’ve worked hard to create what you have in your life- ESPECIALLY your marriage! You’re not ready to give up on it and you’re committed to fixing it. For that to happen, you’re going to need more than once a week couples counseling sessions. Hi, I’m Rabbi Shlomo Slatkin, Licensed Clinical Professional Counselor and Certified Imago Relationship Therapist. I used to work with couples as a traditional marriage counselor – seeing couples each week for 90 minutes. But 90 minutes each week is not enough to get your marriage to a place of clarity and connection so I decided to create an intensive program so that you can finally see how your conflict is an opportunity for connection and how to enjoy that. I’ve created a unique intensive relationship therapy process that I take couples through in my private couples retreats – where they come out of the 2 days with new hope, understanding, and compassion for each other – and the system works like clockwork. Here’s how it works: Couples undergo therapy with me using my calm, clear, safe no-blame, no shame communication process that infuses new life and hope into a marriage in 2 days- by cutting down on the fighting, the reactivity, the tense eggshell-like atmosphere you’ve been experiencing- and creating an environment where you can actually talk about the important things and be heard. This process that I walk couples through during the 2 day couples retreat has worked time and time again. I’d love to share it with you. Call (443) 570-7598 to learn more or schedule a time to sit with just the two of you in a retreat-like atmosphere- getting away from the everyday conflict you’re experiencing at home and immersing yourself in a cloud of connection, forgiveness, love and new understanding. Why Intensive Couples Counseling Retreats? The fastest & most effective way for you to fix your marriage, without having to wait months to begin seeing positive results, is to have an INTENSIVE experience, that is a calm, clear, no blame, no shame, safe process that makes sense of your mess and guides you out of it. An intervention of sorts. That’s why we practice intensive Imago relationship therapy coupled with our “No Shame, No Blame” communication system – It is simply the fastest way to get results. Couples walk away from spending time with us in our private marriage & couples retreats more confident about how to communicate and live together due to the clear training and process that we show couples how to follow. 6 Hours to open up your eyes to the realization that your marriage has the potential to be different. 6 Hours to turn your hope for your new relationship into reality. Follow up relationship therapy sessions either in person or remote video call via Skype. Not all therapists are focused on creating an environment that feels “safe” between the two of you. You know this if you’ve ever gone to counseling and you left angrier with each other than before, resulting in your partner refusing to ever come back! What is lacking for you in your marriage is that feeling of safety. Trust. Being heard without judgment and criticism. If you can make your partner feel comfortable enough to share, a whole new realm of possibility will open up for you. That means listening to them without criticizing, without blaming, without shaming them; but deeply hearing what they say with no blame or shame. Consistent communication that doesn’t include any BLAME or SHAME is critical to restoring love, preserving the marriage that you’ve worked so hard to build. Are you wanting that? No doubt if you’re here, you are wishing that this is how you could communicate! Then you wouldn’t even need to think about separation or divorce! When people feel safe around each other they no longer need to act out of survival mode. There is no power struggle. Everything you’ve seen with your spouse up until now has most likely been them behaving the way they do because they feel unsafe. And the same goes for your behavior. Would you feel at ease? You would. And it would be because of the safe environment that your home would have. Why Get Intensive Couples Counseling? Your marriage can become joyful again without the hassle of months of therapy to determine whether or not you even WANT to stay together. You don’t have time for that! You’re busy! You can stop the resentment, distrust, and lingering doubts that you have about your partner. It is possible to know with confidence and certainty that whatever decision you make it’s the right one. There is a MUCH FASTER way to reverse the course of direction that your marriage has taken and it’s not weekly therapy sessions. You need marriage intensives with Imago relationship therapy at our one-one-one marriage retreats for couples. Why Do We Need Intensive Therapy? You need an intensive experience, with a focus on creating safety for your relationship through a no blame, no shame communication process. Think about it. Your car engine light goes on. The mechanic needs several hours to look under the hood to do a comprehensive analysis of what is going on before he can fix it and to see what’s going on. Trying a 50 minute counseling session to fix what has been going on for YEARS in your relationship is not going to cut it. Then you need The 2 Day No Blame, No Shame Marriage Restoration Retreat. Take it from a real couple that attended one our our marriage intensive retreats. What if you’re not sure that your marriage can even BE saved? Part of our intensive experience is for you to learn about YOURSELF- you own relationship history, your past unmet needs, your ability to communicate and be successful in ALL areas of your life. This is something that all partners need regardless of their spouse’s desire to change. Even if your partner doesn’t change or it looks like you still desire to consciously uncouple, you are always going to have to be in communication with your spouse especially if you have children. Your ability to communicate and go through life consciously is critical to your success in life! “Personal relationship history” – Explore your personal relationship history through written exercises that will open up your eyes to your relationship stumbling blocks. “Why you chose your spouse” – Learn about the missing parts of yourself and know how to reclaim them. “Relationship frustration” – Experience deep healing around a difficult issue with your spouse using the Imago Dialogue practice which is a safe and comfortable way to communicate. “Intentional dialogue” – Put a new tool in your toolbox for dealing with all of life’s challenges and difficult relationships. “Identification of the 3 Relationship stages” – Explore the secret agenda of relationships and “diagnose” which stage of relationship you are in and how that is currently affecting your marriage and what to do about it. “Living Gratefully” – Harness the power of gratitude, naturally flourishing into becoming a more successful and appreciative person. “Dream Up Your Relationship Vision”– Craft a vision that you can successfully live out for your new future together. “Action Plan for Getting Your Needs Met” – Discover what makes you feel cared for and loved and develop a plan to get those needs met. “Receive the Love that Your Partner is Sending You” – Diagnose your love language, learning how to use your love language and the love language of others more effectively to get and to give the love that you want. “Flooding” – Shift the negative energy in a 5 minute process. Your 2 Day No Blame, No Shame Marriage Restoration Retreat was amazing but you worry about things going back to the same old same old. You now have newfound hope for your relationship. You learned great skills. But what happens when life gets back to “normal”? You’ll want to make sure that you get the greatest long-term results from this retreat. The best way to integrate is to have follow-up that provides accountability until your skills are firmly grounded in your day to day life. We are here for you every step of the way to work towards your long-term relationship success. You’ll want a solution to backsliding and the best prevention for falling back into bad habits. These eight sessions are the best way to keep up your new hope and progress. Private member site that consists of a self-guided core curriculum of 5 Modules that lead you through a step-by-step process towards learning how to be married in the best way possible. Each module contains an audio component for on the go listening, slide decks for at a glance summaries, video presentations, transcripts for easy reading, and worksheets for implementation. Includes our best-selling book The 5 Step Action Plan to a Healthy and Happy Marriage and the movie where you can see hands-on how to apply what you learned. 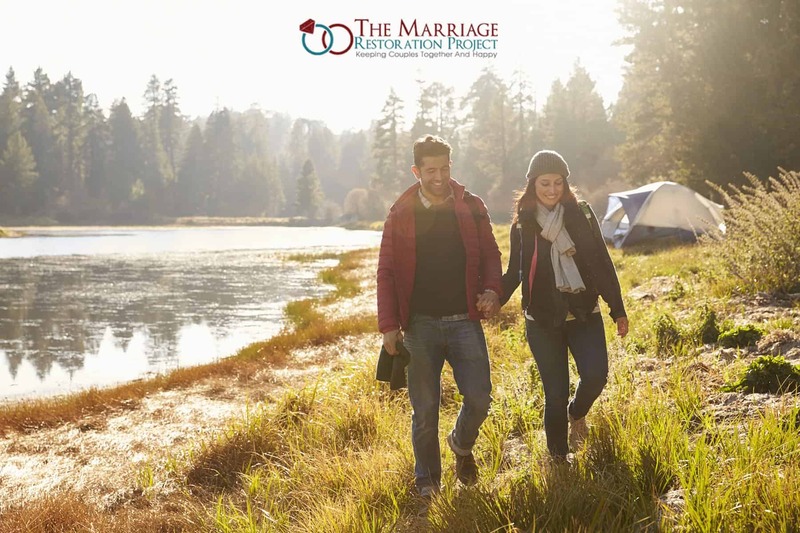 Think of our marriage intensives as a private getaway where you and your spouse have the opportunity to work exclusively with us for 6 hours a day. Our mission is to save marriages so it is in our best interest that you succeed. You can with our guidance and your commitment. 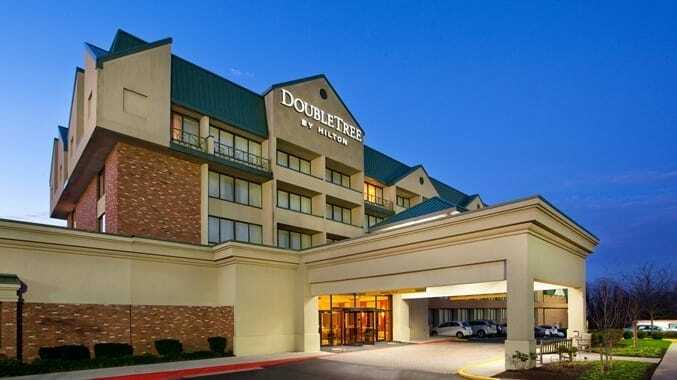 To make your retreat most comfortable, we are excited to be able to include a one night stay at the conveniently located DoubleTree Hilton in Pikesville. The DoubleTree by Hilton hotel near Baltimore, MD offers stylish guest rooms and amenities such as the health and fitness facility, pool and free WiFi. We arrived at Rabbi Slatkin’s office desperate and on our very last legs – much like a long journey through the desert without food, water or a map. We have been married for 17 years, together for 20 years and the very same trouble spots were still presenting themselves over and over again. Those trouble spots have not only distorted many pages of our relationship but they were increasing in intensity over the years. We thought we had reached a crisis point and engaged in EFT couples therapy. We attended for over 7 months with no tangible results to sustain a better relationship. We were only able to barely arrest the process of the screaming matches, let alone the damage and exhaustion were always present. We truly believe that once you begin to seek help as a couple, a significant amount of damage has already occurred and vague dialogues about pleasantries and connection are unable to touch the place where you both need to be in order to be successful. We were both very saddened and desperate for REAL help as another 7 months had passed us by without any true relief. So, road weary and exhausted with barely a glimmer of hope, we embarked upon the Marriage Restoration Project journey. The structure of this program not only allows you to hear your spouse but it also allows you to finally be heard. Rabbi Slatkin and his wife are to be commended for creating this program and presenting a protocol that has immediate results with long lasting communication measures to sustain your relationship. My husband and I entered our home together after the second day and everything looked different. We both felt safe for the first time in a very long time in each other’s presence –perhaps for the first time since we had met. We laughed, we smiled and looked at one another with curiosity again almost as if a reset button had been pushed. The Imago communication dialog allows both of your inner children to meet in a more formal setting thus facilitating the ability to see, recognize and validate where your partners issues and healing reside. Many, many thanks – we are relieved, happy and excited once again to look at the future…..together. How did you hear about our marriage retreat? 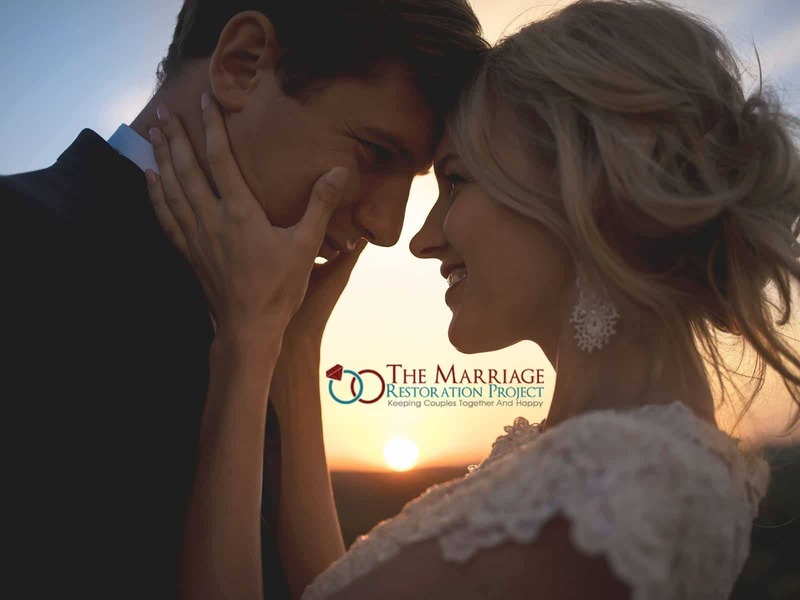 Are you aware that our marriage retreat program is two full days of intensive marriage therapy that is designed to give you a total marriage turnaround and is NOT weekly counseling? 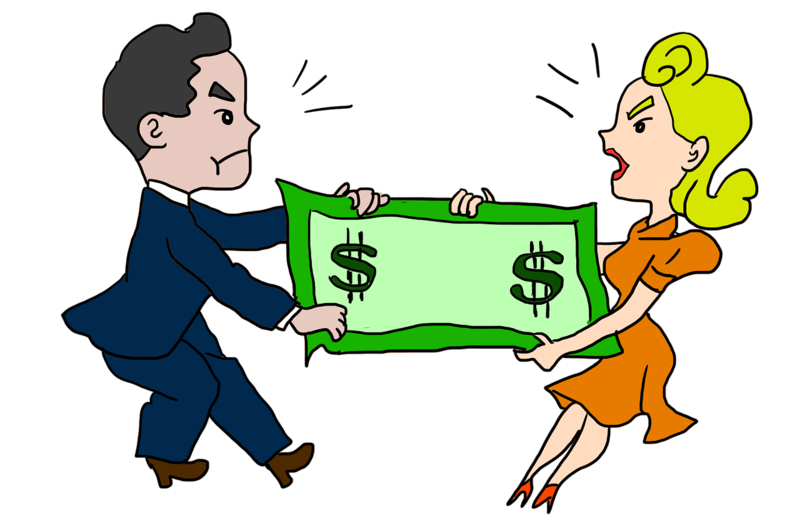 Are you aware that not all marriage counseling is the same in terms of quality and effectiveness? What else would you like us to know about your situation? As this page ends, imagine a marriage that is built on a healthy and stable foundation. A marriage that can withstand all of life’s many challenges that are thrown its way. So that you can both be a refuge to each other, when you come home from busy and stressful days. My husband and I just got back from our 2 day Intensive couples counseling sessions with you. I’m not even sure where to begin! We are blown away! We are married for close to two years and in recent months our relationship kept spiraling downward as we increasingly became upset with each other due to expectations we deemed unmet as well as constant misunderstandings! We’ve been seeing another therapist who was trained in EFT for about 10 weeks but we were becoming more frustrated, despondent, and hopeless as things seemed to be getting worse versus better!!! As our last session by our previous therapist resulted in my husband angrily and frustratingly stating “I’m out of this marriage”, I realized WE MUST FIND HELP ELSEWHERE ASAP!! Luckily, after extensive research I chanced upon your site. Somehow, the messages conveyed as you readily share your own experience with Imago therapy in your marriage and your belief in the foundation of marriage that if there are true intentions all marriages can be helped, resonated in me as true and meaningful! I am so glad I reached out! I must say my husband was very skeptical that indeed this type of therapy will be helpful and an answer to all our problems. He was especially concerned since I had SO MANY issues with him that he couldn’t fathom we’d even get trough half in 2 days. Luckily, my husband is indeed a caring, loving, and smart man and having seen my strong feelings toward this very likely helping us he surprised me by booking our 2 day intensive appointment! This has been the best gift ever! The 2 day private marriage retreat with Rabbi Shlomo Slatkin was an incredible and life changing experience. We initially met Rabbi several months ago, at a time when we were experiencing a great deal of turmoil and uncertainty in our marriage. We had been together for 20 years, married for 15 years and raising two young children while running an incredibly successful but highly stressful business. Our lives were hectic and we were unable to effectively communicate with one another, leading to a complete marital breakdown. We were at a cross roads in our marriage, wondering where to go next and if we should even stay together. 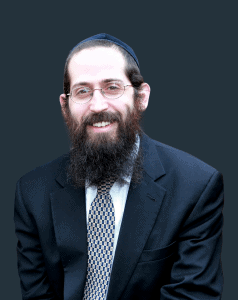 Rabbi kept in touch with us and encouraged us to join him for a private 2 day marriage retreat. I admit, I was apprehensive but knew that we needed help getting our marriage back on track. We tried marriage counseling in the past, but left there feeling more anger and resentment towards one another and no resolution. I am so glad we took that leap of faith and joined Rabbi Shlomo for those 2 days! The retreat provided us with a safe and supportive environment that allowed us to address each other in a calm and respectful manner. It allowed us to effectively communicate and truly hear one another, rather than rebutting or talking over each other. It allowed us to bring up painful topics that we had brushed under the rug or were afraid to discuss and gave us the opportunity to make amends and work toward healing and forgiveness. Rabbi Shlomo Slatkin has a very calming presence and a true gift for making couples feel safe and supported, while teaching them tools for how to effectively communicate. I am so grateful to him and I truly believe new life has been breathed into our relationship. I would highly recommend this retreat! 6 Hours of intensive therapy to open up your eyes to the realization that your marriage has the potential to be different. 6 Hours of Therapy to turn your hope for your new relationship into reality “Living Gratefully” – Harness the power of gratitude, naturally flourishing into becoming a more successful and appreciative person. 8 follow-up counseling sessions, 90 minutes each either online via Skype video calling or in-person at our therapy clinics in Baltimore MD; New York City, NY; or Jersey City, NJ. Your 2 Day No Blame, No Shame Marriage Restoration Retreat was amazing but you worry about things going back to the same old same old. You now have newfound hope for your relationship. You learned great skills. But what happens when life gets back to “normal”? You’ll want to make sure that you get the greatest long-term results from this retreat. The best way to integrate is to have follow-up that provides accountability until your skills are firmly grounded in your day to day life. We are here for you every step of the way to work towards your long-term relationship success. You’ll want a solution to backsliding and the best prevention for falling back into bad habits. These eight sessions are the best way to keep up your new hope and progress. We wanted to express our deep appreciation for your private couples retreat. Your gentle nature and subtle guidance provided a safe environment to share our experiences, concerns and hopes for our relationship. During the retreat both myself and my husband were able to gain a better understanding of our thoughts and feelings and how to channel them to a deeper level of engagement in our relationship. Your retreat provided us with the tools for calm and effective communication with an emphasis on acts of kindness and connection. The opportunity to feel heard by our spouse, and to observe the impact that feeling heard had on our spouse, was the greatest gift. Through the two days of training we were impressed with how focused and positive you kept the discussions even as we shared painful or disappointing scenarios. At no time was blaming or hurting allowed and you facilitated a positive energy through out. My husband shared how surprised he was with how the time flew by! We left with the hope and reassurance that the deep relationship we both envisioned would be attainable especially if we diligently apply the techniques that you shared. We strongly recommend your program and encourage couples not only to consider this if they are in crisis but if they would like to re-imagine and deepen their current relationship. Thank you again for the greatest gift of all. We feel blessed to have met you. Quite simply Rabbi Slatkin’s intensive marriage program helped my wife and I save our marriage. We are both successful, busy professionals with Type A personalities. Both divorced and used to getting our own way, each having our “way” of doing things. What started as two people together and aligned, greatly in love, had changed to two people in conflict and questioning if we each had made a bad choice. We tried traditional marriage counseling. That did not work as, after each 50 minute session, we went back to our routines as much as we wanted to use what we had been taught. As a last resort, we looked into intensive marriage programs. While there were lots different programs, philosophies, and approaches, we narrowed it down to 4 we both felt comfortable with and contacted each. After our calls we decided that Rabbi Slatkin’s calm, deliberate and warm demeanor differed from more clinical approaches. He told us we were right where we were “supposed” to be, and he could help us help ourselves. We spent intense time with Rabbi Slatkin and he indeed help us understand more about ourselves and each other. We understood where our issues came from, and more importantly, forgave each other past mistakes. We learned how to communicate without all of the “stuff” of our past and present getting in the way. That was about 45 days ago, and we are thrilled to have our marriage back. We communicate in an open, not threatening, non judgmental manner. We have gone back in time and now enjoy each other the way we both expected to when we got married. It takes work and dedication, but the rewards for us have been enormous. I feel absolutely sure that Rabbi Slatkin was/is right for us and we recommend him to others without hesitation. At the brink of a break-up, after 21 years of marriage, we took one last step to try and save our union. We investigated numerous couple therapists, and researched in detail how they conduct their versions of marriage intensives. After multiple rounds of interviews, we began to feel that Shlomo Slatkin, while being as competent as anyone else, also radiated this special, warm confidence – as if he was doing his life’s purpose and we were THE couple he was going to help. With a balanced mix of structure and sensitivity to our needs, Rabbi Slatkin confidently guided us through two days of self-reflection, discovery, and transformation. Combined with the “Getting the Love You Want” book, authored by Imago’s founders, Shlomo Slatkin’s intensive allowed us to undergo two individual transformations, and a third one – the transformation of our marriage. After the intensive, we embarked firmly on building a new type of union – the conscious marriage – that we realized we never really had (and that everyone deserves and is able to build). And after the retreat, Shlomo Slatkin did not leave us with unfinished business, but instead guided us through numerous & productive, 1.5-hour Skype sessions to build better communication and marriage building skills. Today, we enjoy deep, newly-found intimacy at all levels in our relationship. We are forever grateful to Rabbi Slatkin for saving our marriage, saving our love! And we recommend Rabbi Slatkin with no hesitation to couples in search of marital help & advice!!! After spending several months feeling stuck, depressed, and despondent in our marriage, I knew there had to be a way out and that the way out didn’t have to mean divorce lawyers, more anguish, and ruining the lives of our children. My husband was much less certain. But after meeting Rabbi Slatkin and doing the private retreat, my husband was able to completely revamp his thoughts, open his heart, and repave the road of destruction he thought he was traveling. Rabbi Slatkin is an expert in this field, having studied Imago Therapy, and uses this as the basis to reteach couples how to communicate and heal. Many couples are unaware of their potential to communicate and relate on a deeper level, but after participating in his exercises, it became to clear to us how much more there was to our relationship than we had ever dared to know. We were hooked. Our time together flew by, and we left yearning for more. We cannot believe how much we learned, how many new habits we’d like to create, and the potential that our marriage has. We can’t thank Rabbi Slatkin enough for what he has done for us, and we are happy to recommend him to anyone else in need. We are certain you will feel the same gratitude for having been able to turn your lives around. What is so unique about this experience is that Rabbi Slatkin spends 12 hours in two days with you, allowing you to make great, immediate progress, and you really focus on the issues at hand without being distracted by other responsibilities of life. His voice is soothing and calming, allowing him to always remain neutral and to deescalate any heated moments. We never felt like he sided with anyone and he mostly encouraged us to talk through our issues without interrupting except for occasional feedback or reframing. The exercises he does with you greatly enhance the couples’ connection and work to improve the overall feeling of the relationship. I had the distinct privilege of working with Rabbi Slatkin and my husband for a two day seminar. Not only is he masterful in translating the skills necessary to incorporate Imago into ones life, but he has a G-d given talent of genuine empathy and understanding of the human psyche. I was blown away by his focus and ability to connect to the most complex and diverse situations! We are a blended family , (with both major and minor issues) and he was able to help us in many areas. He navigates the sessions with a unique ability to show no judgement, ( only a deep alignment with the struggle), and a tremendous humility! I am grateful for the treasure of the two day seminar and am hopeful that the tools we learned together will improve the quality of our marriage! I feel that the investment of time and money was well worth it for us! My husband and I were on the verge of separating and probably divorcing. Just prior to my taking the necessary steps to make that happen, my husband asked me if I would be willing to consult with Rabbi Slatkin first. We had previously considered asking Rabbi Slatkin for help, but did not follow through, and, instead sought help elsewhere. Although, the other help we sought was useful, we found that we were at an impasse and could make no further progress. However, I was convinced that Rabbi Slatkin would be providing me a safe place where I could at the very least, say what I wanted to say without fear of my husband’s reaction. I no longer felt I had anything to lose. Knowing a very little bit about Imago therapy, I thought I might also find out some valuable things about myself whether or not my husband and I were able to work things out. This was an extremely expensive solution that we could not afford to NOT do. We are both extremely grateful to have been able to take Rabbi Slatkin’s intensive program. Q: What are No Blame, No Shame Marriage retreats? A: Marriage therapy retreats are 2 days that we (Rabbi Slatkin) spend working one-on-one with you and your spouse. A: They take place on Skype or Zoom or at our office in Baltimore. Q: Has the intensive been successful for marriage problems such as infidelity, loss of love, family problems, anger, marriage counseling that hasn't worked before? A: We've seen even the worst of marriages begin to heal after the 2 days of working together intensely. Q: Do we need to be familiar with your methodology? A: Just come with an open mind. We provide all the materials for you that we think will be most helpful to you and your spouse. Q: When are the intensives scheduled? A: Because our retreats are private, and do not include other couples, we schedule them on 2 consecutive days that are mutually agreed upon. After submitting your payment, contact us to schedule your dates for the retreat and we will book your free hotel stay. A: Retreats can be paid over 6 months using Paypal Credit if you qualify. Talk with us and we can walk you through the easy process. A: Although we do not participate in any insurance networks, many of our clients are eligible to file for reimbursement from their insurance company. To find out whether your insurance plan would cover our services, please contact us and we can provide you the information you will need to ask your plan if our services are covered. Q: You're a Rabbi, is this religious based? A: Religion is not incorporated in sessions unless requested by the couple. We practice Imago Relationship Therapy and our counseling is not faith based. With that said, we do have traditional values in promoting strong marriages and we do believe in working to keep a couple together when possible.